People have long been aware that, during big TV moments–epic sports contests or the finale of Lost, for example–the Twittersphere rapidly fills up with TV-related hashtags. Last week Google Ventures invested in Miso, a social TV app that allows users to comment on their TV shows as they happen. Miso, however, is not the only fish in the social TV app sea. 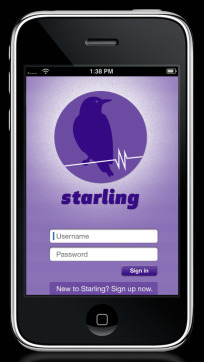 As well as Comcast’s Tunerfish, there is Starling, a startup that launched back in April at MIPtv in Cannes, whose aim is “enhancing the real-time experience” of watching television, according to its President of the Americas, Kenny Miller. Last month’s launch of Google TV at the I/O conference is bringing the media of Internet and the television even closer, so one could argue that there is little point in a separate social media app that covers the TV experience to second screens. 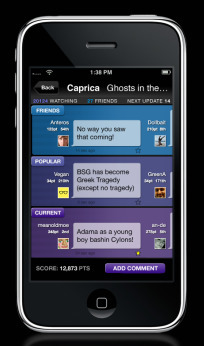 However, simultaneous TV and Internet use is on the rise, and it is this that Starling hopes to capitalize on.